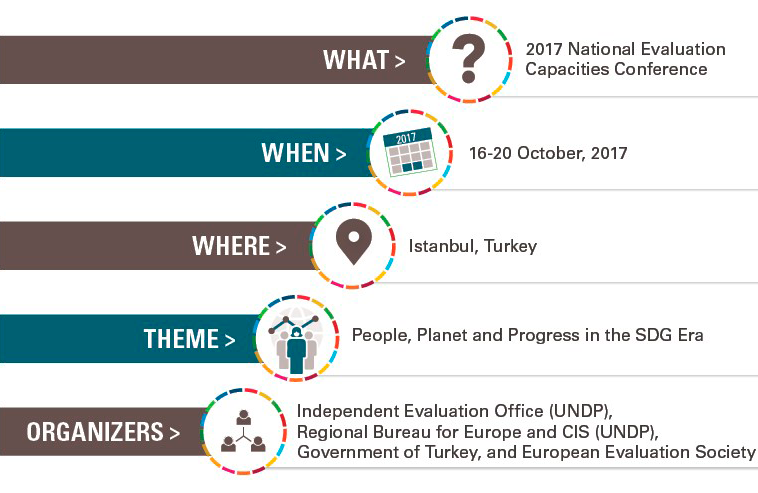 NEC 2017 offer opportunities to share experiences and learning amongst government officials from national institutions engaged with evaluation and/or the SDG agenda. 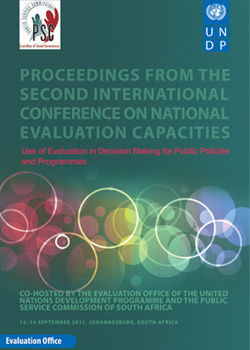 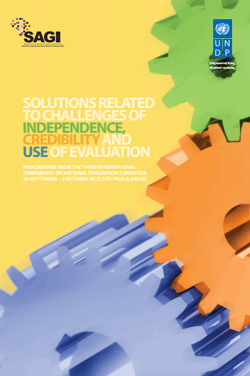 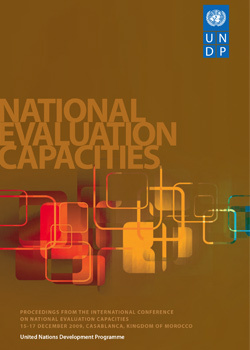 View Flyer on 5th International Conference on National Evaluation Capacities (NEC 2017). 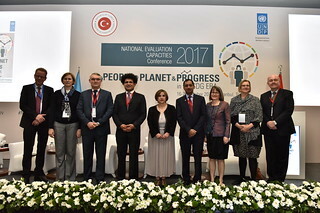 16- 20 October, 2017 Istabul, Turkey. 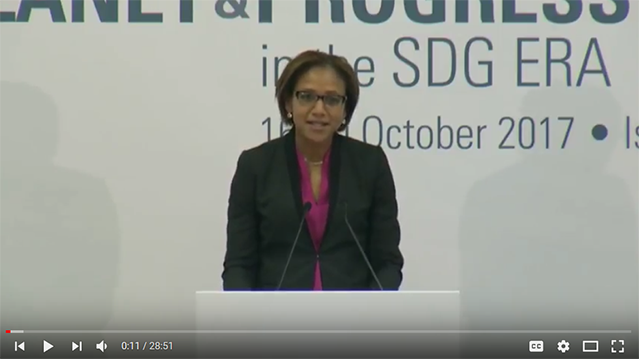 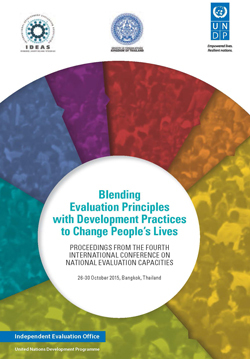 This declaration seeks to capture an emerging body of shared understanding on lessons and priorities for evaluation practice in the era of the Sustainable Development Goals (SDGs) to help guide joint action in future support of national evaluation capacity.